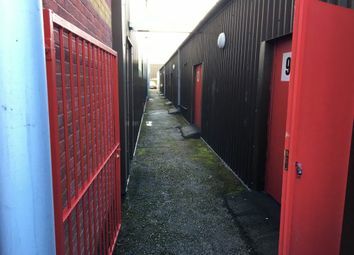 This commercial property is located on the well-established Coppi Industrial Estate on the outskirts of Rhosllanerchrugog, The industrial estate benefits from being less than a 10 minute drive of the A483 dual carriageway, which provides access to Chester, the A55 and M53/M56 to the north and then Oswestry, Llangollen, Shrewsbury and the M54/M6 to the south. There are also local amenities within less than half a mile. Â£75.00 per month 14â€™ x 12â€™ . Â£100.00 per month 20â€™ x 12â€™. 2 month minimum, lighting, gated security. If interested please get in touch so that we may organise a viewing and meet the Landlord directly.